The commitment of law firms in Ukraine (and since late from abroad) to bring up their annual submissions for the national legal directory has its good traditions flavored with some genuine Ukrainian spirit. The recent period of collecting questionnaires from the market as well as conducting research and in-depth analysis took place in the most dramatic times in our modern history. Since that time many changes have taken place. We are very grateful for corporate submissions and proficient communication in terms of getting individual feedbacks from market players. Our readers will find some innovations in the Handbook, as more specific practice segmentation for relevant ranking purposes. The rankings provided are accompanied by editorial texts with wording accents. In respond to several practice areas developments and turbulent times for the legal profession in the country, the “authority” category has been introduced for individuals. The category is aimed at emphasizing renowned professionals that are less involved in practice of late (active public, scientific activity; managing functions) but who are definite opinion leaders and whose legacy influences the market. As the legal business is very individualized, we added some visualization elements into our recent ranking design. Among the striking trends observed in the current Handbook is a leap forward by the new generation of legal practitioners. The current Handbook continued its initiative of last year to observe the regional desks of international law firms involved in Ukrainian projects. The league tables provide for the disclosable deal record on an annual basis (see Tables 1–4). The recent developments in Ukraine have been favorably perceived by business. Investors have the clear understanding that as soon as key issues are resolved, Ukraine will be a country that will yield good dividends. In fact, Ukraine is the only country in Europe that has such huge untapped potential with almost unlimited possibilities for business growth. This is because, unlike other European countries, competition has not yet completely evolved in most industries. Ukraine could be called the last “economic oasis” in Europe. Development of the country, with its backward economy and underdeveloped competition, was hindered by the extremely high level of corruption that often forced investors to leave the country. The protests that began in November also included slogans to fight corruption, and now as protesters win we expect a large scale anti-corruption campaign. If the current government will be able to tame corruption, Ukraine will witness an inflow of investment in 3-4 months. Apart from that the positive effect that has been reached through the broad “advertising campaign” of Ukraine as international media provided daily coverage of the situation in the country for several months. In the near future there will be demand for a traditional set of legal services related to investments, including investment legislation, real estate practices, mergers and acquisitions. We anticipate that there will be attempts to redistribute ownership and resounding litigation cases in this area. We are also confident of criminal practices, as we forecast a wave of anti-corruption cases affect innocent people, which would increase demand for services. Since Ukraine has financial issues both the government and many companies will receive financial assistance. This will increase demand for banking and financial practices. And obviously we should expect changes in tax legislation and, so, growing demand for tax lawyers. Unfortunately, significant adjustments to implementation of the plans should be expected and made due to tense relations with Russia. The past year has seen the spinning off of ambitious leaders and teams from a number of mid-size local counsels. In March 2013a new player, Vox Legum law firm, was stabled by Mykhailo Spasov, previously employed at Sergii Koziakov & Partners. The new team focuses on banking, corporate, dispute resolution, pharmaceutical law, real estate, taxation and white-collar crime. With the start of the new business season some partners decided to strike out on their own. In September the first Ukrainian antitrust boutique, Droit Law Firm, was established by Victoria Ptashnyk, former associate partner of the Legal Alliance Company. Yuliya Khomych left Zavadetskyi, Khomych Advocates and established Khomych & Partners in December. The newly established firm is dedicated to corporate and M&A, commercial, capital markets, banking and finance, international trade, restructuring and recovery, tax, dispute resolution and advocacy. Following its European expansion, in October the Swedish law firm Magnusson established its office in Kiev. The Ukrainian branch consists of ten lawyers. 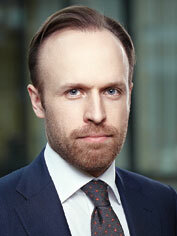 Anton Prysyazhnyuk, partner and office head, moved from the Kiev office of Andreas Neocleous & Co. The newly established team acts acrosscorporate and M&A, antitrust, banking and finance, tax, litigation, and intellectual property matters. Another way to face ever tougher competition has been worked out by the masterminds of the past year’s cooperation models and mergers. After more than 15 years of successful collaboration, in October the global law firm Squire Sanders and Ukrainian law firm Salkom established aformal international association. The firms share a joint platform for business development and the marketing of legal services in Ukraine and international markets. The new amalgamation operates under the brand name Squire Sanders — Salkom International Association. The association model for legal business in Ukraine is the first one and is aimed at offering a combination of enhanced local expertise and access to specialist knowledge across multiple jurisdictions. In December 2013 Danevych Law Firm, a prominent player in life sciences, renewables, and IT, and Ulysses, a transactional and dispute resolution law firm, merged their operations. The amalgamated team operates under the brand name Marchenko Danevych. The new firm acts across corporate and M&A, competition, life sciences, real estate and construction, and tax practices. The past year was a warning sign for European law firms in Ukraine. The bold anticipations of their departure because of the low foreign investment inflow became true. Two of them have already closed their Kiev offices and left the market. As of 1 August 2013 the Ukrainian office of German law firm Noerr split off from the group and started operating as an independent law firm by the name of Nobles. The company is headed by its partner Alexander Weigelt together with the head of corporate, Tetiana Khandazhevska, and the head of commercial practice, Volodymyr Yakubovskyy. Nobles continued working in close cooperation with Noerr on a “best cooperation partners” basis. Dr. Mansur Pour Rafsendjani, who left the co-managing partner position at the Kiev office, relocated back to Munich where alongside Berlin partner Bärbel Sachs he leads Noerr’s new international trade team. The Kiev office of the German law firm Beiten Burkhardt was closed in December 2013. Since 1 January 2014 its team of nine lawyers, including two partners, Julian Ries and Oleksiy Feliv, joined the Ukrainian brunch of Gide Loyrette Nouel. The office is headed by both Julian Ries and the current partner in charge of the Kiev office, Bertrand Barrier. As the lawyers note, increasing competition and limited capacities of the local market has forced law firms to look for the new opportunities by opening offices in other cities in Ukraine and abroad. In June Gvozdiy & Oberkovych started to work in Odessa through the affiliation of local professional law firm B&G, as headed by Maksym Boldin. The office is focused on judicial, criminal law and corporate practices, as well as real estate, customs law and international trade, legal support of ports’ activities and marine transportation, as well as legal support of the agricultural infrastructure. In October Sayenko Kharenko opened a representative office in London. The firm attracted Iryna Nagayets, previously worked for the London office of Baker & McKenzie, to assist with the instructions of the firm’s UK and other European clientele. Following the business development strategy of regional expansion, Ilyashev & Partners has opened its offices in Dnepropetrovsk. The office is headed by Lesia Samarina, an attorney with around 10 years of professional experience. One can expect development of the Ukrainian legal services market in 2014 to follow the general trends of the crisis years of 2009-10. In particular, we already see a decline in demand for conventional legal products, as most companies have cut their budgets again. At the same time, problems in the economy and changes in the political landscape create demand for new products, which include disputes over property, sale of distressed assets, debt restructuring, bankruptcy, etc. We saw such a shift in trends a few years ago and have already been prepared for it as a firm — by now we have created a fully diversified full service firm, which can easily adapt to the changing environment and have specialists with expertise required for any new products. A separate issue, which currently generates all sorts of work for lawyers, is the situation with Crimea: uncertainty which exists there in light of the dualistic legal regime makes businesses worry and think about restructuring or even selling their assets in the region. Furthermore, even plain vanilla activities there, such as performance of contracts, supply of goods and operation of payment systems, raise a number of issues, which require involvement of lawyers. We believe that the situation per se gives causes for multiple litigations now and in the future, including proceedings in foreign and international judicial bodies. On top of that, we expect that the new government may prove its determination to move towards the West and the EU and finally start implementing reforms expected by the IMF and other international donors (such as recent rises in energy tariffs). For instance, based on the consultations held by its latest mission to Ukraine, the IMF has already indicated the possibility of granting a new standby credit facility in the amount of USD 14-18 billion. This may stabilize the economic situation and boost the inflow of investments in Ukraine from the EU and US, which could effectively dent the role of Russia as the largest creditor and investor. Accordingly, we may see a lot of new work in M&A, private equity, banking and finance and capital markets. Furthermore, any major loans from international institutions may be used for rebuilding infrastructure and implementing new projects in energy, utilities and transportation sectors, which would keep busy lawyers specializing in the relevant areas and perhaps boost PPP work. Promotions and partners transfers in 2013 continued. According to the recent research conducted by our editorial team in the framework of our Russian language project “Law Firms in Ukraine. Annual Market Research” 60% of respondents prefer promotion from within, while 40% combines this policy with lateral hiring of partners. Nevertheless, the market picture in personalities is saturated with anticipated recognition as well as unexpected departures. Egorov Puginsky Afanasiev & Partners promoted Sergiy Grebenyuk, Dmytro Marchukov and Roman Stepanenko to the counsels. Sergiy Grebenyuk is co-head of the white-collar crime practice in Ukraine, representing clients in pre-trial investigations and in criminal trials. Dmytro Marchukov is a counsel of international arbitration and litigation practice while Roman Stepanenko specializes in banking and finance, capital markets, banking law and securities regulations as well as subsoil and energy regulations in Ukraine. In January 2013 Olena Zubchenko became anassociate partner at Lavrynovych & Partners. She is responsible for providing legal services in banking and finance, real estate and construction, land and agrarian law issues. In February Dmytro Gadomskiy joined Juscutum Attorneys Association as a partner. He headed the area of IT and media law. Prior to joining the firm, he was an adviser of Arzinger, where he headed IT practice. Eugene Blinov, a counsel with AstapovLawyers, has been promoted to a partner. A leading international arbitration practice, he manages multiple disputes submitted to courts of numerous jurisdictions. Yaroslav Abramov, who has extensive experience of corporate law and M&A, capital markets and tax,was promoted to counsel of corporate and M&A practice of Integrites. In February Adam Mycyk rejoined the international law firm Chadbourne & Parke as an international partner of the Kiev office. Mr. Mycyk, who left Chadbourne in 2007, returned to focus on corporate and banking and finance matters in Ukraine. Until then he was a partner at CMS Cameron McKenna in Kiev. 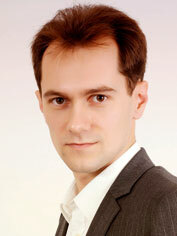 In March the partnership staff of Integrites admitted new partner Vsevolod Volkov. He is experienced in capital markets, banking and finance, M&A in banking and financial sectors, and international commercial arbitration. In April 2013 Vasil Kisil & Partners appointed Alexei Sluch, whospecializes in national and international litigation, as a counselor of its dispute resolution practice. 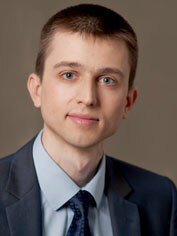 Alexey Pustovit was promoted to a partner of Asters antitrust and competition practice. He joined Asters as counsel in 2011 and has been advising clients on various aspects of competition law as well as public procurement review matters. Natalia Pakhomovska was promoted to partner of DLA Piper Ukraine. She advises clients on IP and IT law issues as well as advertising, data privacy, franchising and telecommunications. In May 2013 Vitaliy Radchenko was promoted to the partnership of CMS Cameron McKenna Kiev office. Mr. Radchenko has coordinated the energy practice for the last few years. His specialties are projects in oil and gas, natural resources, conventional and renewable power generation and the Kyoto Protocol. 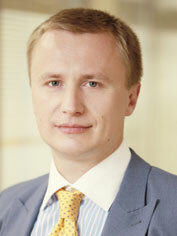 In June 2013 Andrey Gorbatenko acquired the status of associated partner at the Legal Alliance Company. He headed the practice of advertising and promotion. Lavrynovych & Partners board of partners admitted senior associate Andriy Moroz as an associate partner. He is responsible for bankruptcy cases, litigation and international arbitration, legal support of M&A deals. In July the Kiev office of Baker & McKenzie elected two new partners, Olyana Gordiyenko and Ihor Siusel, bringing the total number of partners in Kiev to ten. Ms. Gordiyenko’s practice has been focused on private equity, FMCG, healthcare and oil & gas sectors. Ihor Siuel re-joined the Kiev office of Baker & McKenzie as a counsel and the head of the dispute resolution practice group in November 2012. He advises and represents local and foreign clients in commercial, real estate, construction, corporate, IP, tax, customs, labor, insurance, loan, maritime, aviation, telecom, product liability and bankruptcy disputes, including complex cross-border disputes. In July Arzinger law firm appointed a new partner, Lana Sinichkina. From January 2012 she was counsel and co-chair of the life sciences & healthcare and food & drinks industries. She has expertise on regulatory issues of industries she leads, on antirust and competition law, state procurement, personal data protection, compliance procedures and anti-corruption legislation, on advertisement and product promotion issues. In July Albert Sych was admitted to partnership in the tax and law practice of EY Ukraine1. Mr. Sych has 12 years of professional experience in providing legal and tax services, specializing primarily in M&A and investments, both Ukrainian and cross-border, contract and corporate law, as well as tax law. His industry experience includes oil and gas, FMCG, banking and financial services, real estate and construction, etc. In October Oleg Samus has joined AstapovLawyers international law group as partner and head of the commercial and government relations practices. He handled multi-million acquisitions and divestments, infrastructure projects, corporate, commercial and tax disputes, criminal cases, assets protection against corporate raiders, antitrust investigations, development and implementation of compliance programs, including FCPA monitoring system, development of draft laws and regulations. Recent events in the country have obviously affected and still continue to affect most of the sectors of the Ukrainian economy, and the legal market is no exception. As many businesses took a “wait-and-see” approach in relation to many of the potential transactions, the work flow of many law firms has been tapered. As the situation stabilises, which we expect to happen after the presidential election, many “frozen” transactions should resume and new transactions should come. As the world economy continues to show positive signs, we expect many Ukrainian businesses to try to use an opportunity to attract funding on foreign capital markets or through private deals. These efforts should be supported by the reforms, which the government has committed itself to implement in order to enhance the investment attractiveness of Ukraine. All of this should result in new M&A deals (particularly, distressed assets sales), debt restructurings, banking deals and, probably closer to the autumn of 2014 (or, more pessimistically, in spring of 2015), IPOs and Eurobonds. We expect the following industry sectors to lead the activity growth: real estate, FMCG, financial services, pharmaceuticals and agriculture. In the meantime, life once again proves that the Chinese were right saying: “When the wind of change blows, some build walls, others build windmills”. With the latest events in Crimea a number of unprecedented legal issues arose, providing law firms with an opportunity to launch a new practice of “law of occupied territories”. Owners of Ukrainian businesses are also trying to use the current pause to better shape their businesses and, to that end, carry out corporate restructuring. On 1 December 2013 Anna Zorya joined Arzinger law office as a partner. She strengthens the team of corporate law and M&A and co-heads the same practice together with Maksym Cherkasenko. Effective from 28 February 2014 Asters’ counsel Svitlana Chepurna and four senior associates, namely Yevgen Kravtsov, Yevgen Porada, Andriy Pozhidayev and Kostyantyn Solyar have been promoted to partners and senior associates Gabriel Aslanyan and Oleksiy Demyanenko to counsels. Collectively, the group of new partners and counsels represent Asters’ key practices of banking and finance, M&A, corporate, tax, regulatory compliance, labor and litigation. In March 2014 Sayenko Kharenko expanded the range of services provided to clients with the arrival of a new partner, Oleksandr Padalka. He specializes in advising clients on various IT, corporate, labor and unfair competition law issues. Moreover, Anton Korobeynikov, practicing banking and finance and capital markets, was promoted to counsel. The firm also strengthened its capacities in IT with the hiring of Mykyta Polatayko, who has been very visible in the Ukrainian IT sector and has profound industry insight. Domestic politics has been the fundamental framework for the Ukrainian legal market in the last few years. The past year has seen an “extended crackdown” for generating new business and bringing foreign investments into Ukraine, restricting number of clients, cutting fees and resulting in severe competition on the legal market. Navigating the situation of restrained business opportunities, law firms have attempted to preserve their positions and moderate appetites for better times. To be fair, this task became even more complicated than ever before. In contrast, the business continued cutting budgets for outsourcing legal services, loaded their corporate counsels and strengthened legal departments with internal lawyers. No wonder that a flexible pricing policy is a necessity for preserving sustainable performance of law firms from different echelons. Since the competition inside of the high end market became tighter, the niche players are seen to bite a piece of the pie benefiting with sharp niche expertise and favorable price offer. Dumping was sounded by market participants as a permanent feature of the market last year. Litigation has been observed as an “engine” of legal services that captured debt recovery disputes, tax litigation, bankruptcy proceedings. The adoption of the new Criminal Procedural Code entailed development of white-collar crime practices, and even the major full service firms attracted criminal defense attorneys to boost their offerings. It was noteworthy that a private client service was actively possessed on the market. With the outflow of foreign capital, lawyers received a piece of work dedicated to repatriation of capital, business sale, winding up and liquidation. The favorable situation on the international financial markets brought a bulk of work to corporate finance practitioners. Management according to the rules of business brought up new strategic solutions we observed on the market. These included the consolidation of the local players by merging law firms; facilitation of outsourcing and subcontracting partnerships between market players; further legal marketing developments. Reputation in professional circles and favorable image in the business environment were consistently targeted by legal marketing professionals. As market sources stressed, costs management and key performance indicators systems are the subject of particular concern for effective financial management of legal business. The job policy has seen accurate and selective approach, paying attention to candidates not only commanding technical knowledge but rainmaking and management skills. The bid market situation required law firms to develop and even compete in terms of client service and client loyalty programs. At present it is too difficult to forecast things for a year ahead as there are a large number of unknown inputs, like external financing, development of the conflict with Russia, elections, etc. As we see, the current political and economic situation already differs significantly from the forecasts made six months ago. The same can happen to forecasts for 2015. Nevertheless, one can try to single out some trends for the medium term while neglecting possible ultra-adverse factors that may affect the Ukrainian economy. The total monetary value of the market is unlikely to change significantly when measured in Hryvnias. The number of transaction projects may decrease due to low investment activity in general, and especially that undertaken by foreign investors. The latter would imply reduction of foreign currency inflows. At the same time, not all Ukrainian clients, whose prices are now tied to foreign currencies, will be willing to keep it on. All factors in unison would likely lead to a decline in the market as measured in foreign currency, especially for transaction practices. The number of projects in the field of dispute resolution would likely have a tendency to increase. In this regard, one can take into account such factors as changes in the domestic political situation, which always trigger redistribution of ownership in one form or another, increased enthusiasm of the tax authorities to collect payments to the budget, penal aspects of property disputes and tax disputes, results of the previous government, “purging” of the banking system, and issues related to Crimea. In banking, there may be an increased number of projects on debt restructuring due to turbulence of the currency market and changes in the economic situation, but it is unlikely that we would see significant M&A activity. Positive changes in government policy can stimulate an outflow of highly qualified specialists from the legal services market to the civil service and state-owned companies. On the other hand, improvement of the government’s staff can promote positive market changes at large in those areas where government regulation plays a key role, including banking and financial services, or competition. The current economic and competition situation would likely freeze income the levels of both partners and lawyers, would increase the popularity of the variable component of lawyers’ remuneration, while reducing non-core business expenses. Competition will increase and it will further encourage market participants to be dynamic, implementing more efficient and automated business processes, strengthening their marketing efforts, developing new practices, and using a more pragmatic approach to developing their businesses. The price of services will continue to dominate as a competitive advantage. Subject to comparable (but not equal) quality, clients will in most cases make their choice based on the price. Quality would win over price only in those practices where supply is very limited, or for “bet-your-company” projects. And it will be important after 2014. In July 2014 Oleksiy Filatov has been appointed deputy head of the Administration of the President of Ukraine. Since every single day brings changes in Ukraine and it is very difficult to anticipate anything in this dramatic period. With this huge uncertainty today professionals remain optimistic, singling out the great unrealized potential of our country that could be converted into high profitability. And lawyers are ready to contribute for these opportunities to come true. IPO by Luxoft Holding, Inc. Empty table cells in a foreign legal support column mean that the information is either not available, confidential or there were no foreign law counsels. Loan to DTEK from a group of banks, coordinated by ING Bank N.V. Syndicated pre-export finance facility to Donetsksteel extended by ING Bank N.V., PJSC ING Bank Ukraine, Unicredit Bank AG, PJSC Ukrsotsbank, VTB Bank (France) S.A., VTB Bank (Deutschland) AG, Raiffeisen Bank International AG, PJSC Raiffeisen Bank Aval, East-West United Bank S.A.
Acquisition finance to One Equity Partners for the purchase of the Ukrainian business of East Balt Inc.
Pre-export loan facility to Myronivsky Hliboproduct Group extended by ING Bank N.V. Export credit agency-backed export loan facility to NIKO Ukraine, the official Ukrainian distributor of Mitsubishi from major German-based bank, supported by the credit insurance from KUKE S.A. Binding agreement to acquire an 80% interest in Druzhba-Nova, a farming business, by Kernel Holding S.A.
Acquisition of a private Ukrainian oil and gas exploration company Technogasindustria by CUB Energy Inc.
Sale of 100% equity rights of Tekom Ltd to HSH CHEMIE GmbH by HSH CHEMIE Sp. Z o.o. Sale of custody business of ING Group N.V. in Bulgaria, the Czech Republic, Hungary, Romania, Russia, Slovakia and Ukraine to Citigroup Inc.
1 The Bulgarian deal with the Ukrainian law element. Merger clearance for concentration in connection with stock-for-stock merger between Omnicom Group, Inc. and Publicis Groupe S.A.
Merger clearances for concentration in connection with acquisition by Mr. Dellin partnership with Silver Lake Partners of control over Dell, Inc.
Merger clearance for the acquisition of Bausch & Lomb Holdings Incorporated by Valeant Pharmaceuticals International, Inc.
Merger clearance for the acquisition by SHUANGHUI group of Smithfield Inc.
Merger clearance for concentration in connection with acquisition by Renaissance Parent Corp. of control over Gardner Denver, Inc.
Merger clearance for concentration in connection with acquisition by Cisco Systems, Inc. of Sourcefire, Inc.
Merger clearance for concentration in connection with acquisition of Buckeye Technologies Inc. by Koch Industries Inc.
Merger control clearance for the acquisition by Mohawk Group of Marazzi Group via purchase of 100% of shares in FINTILES S.P.A.
Merger clearance for the acquisition of CSM’s bakery supplies business by Mill Luxembourg Holdings 2 S.àr.l. Merger clearance for concentration in connection with acquisition by Pinnacle Holdco Parent, Inc. of PRA Holdings, Inc.
Merger clearance for the acquisition by Advent Group of control over Coating Resins Business of Cytec Industries Inc.
Merger clearance for the acquisition by ABB Ltd of control over Power-One, Inc.
Merger clearance for the concentration in connection with acquisition by Swatch Group Ltd of 100% of shares in HW Holdings, Inc.
Merger clearance for the acquisition of share capital of Global Ports Investments Plv by APM Terminals B.V.
Merger clearance for concentration in connection with indirect acquisition by KKR AT Luxco S.à. r.l. of shares of Alliance Tire Group B.V.
Merger clearance for concentration in connection with acquisition by Cisco Systems, Inc. of control over WhipTail Technologies, Inc.
Merger clearance for the acquisition of Obagi Medical Products, Inc. by Valeant Pharmaceuticals International, Inc.
Merger clearance for the acquisition of shares of Novaled AG by Cheil Industries Inc. and Samsung Electronics European Holding Coöperatief U.A. Merger clearance for the concentration in connection with acquisition by Redwood Holdco Parent, Inc. of control over RPS Parent Holding Corp.
Merger clearance for the acquisition by Borealis AG of 100% of shares in DSM Plastomers B.V. and Exxon Chemical Holland Ventures B.V.
Merger clearance for the acquisition by Fonds Stratégique d’investissement of control over CMA CGM S.A.
Merger clearance for concentration in connection with acquisition by Tyco International Ltd of control over Exacq Technologies, Inc.
Merger clearance for concentration in connection with acquisition by Cisco Systems, Inc. of control over Cloupia, Inc.
Merger clearance for the acquisition of shares of Rolling Rock Minerals Inc. by S&B Industrial Minerals S.A.
Merger clearance for the acquisition by Borealis AG of certain shares in Rosier S.A. from Elf Aquitaine S.A.
Merger control clearance for the acquisition of Technogasindustria (TGI) by CUB Energy Inc.
Merger clearance for the subscription by EBRD to certain shares in E D & F Man Ukraine Investments B.V.
Merger clearance for concentration in connection with acquisition by Mitsubishi Chemical Holdings Corporation of shares of Aquamit B.V.
Merger clearance for concentration in connection with the subscription by Pfeifer & Langen International B.V. of new shares in the increased share capital of Pfeifer & LangenInwestycje sp. z o.o. Merger clearance for concentration in connection with acquisition by Marubeni Corporation from National Power International Holdings, GDF SUEZ S.A.’s subsidiary, of 50% shares in National Power International Holdings B.V.
Merger clearance for concentration in connection with the acquisition by E.ON SE of 50% of shares in Enerjisa Enerji A.Ş. Merger clearance for concentration in connection with acquisition by The Gores Group, LLC of more than 50% of the shares of Etrali S.A.
Merger and antitrust clearance for concentration in connection with acquisition by Evonik Industries AG of 49% shares in LiteCon GmbH and obtaining antitrust clearance in connection with a non-compete clause. Merger clearance for the acquisition of BATATA S.A. by JT International Netherlands B.V.
Merger clearance for the acquisition of PJSC IC Generali Life Insurance by Derinexum B.V.
Merger clearance for the acquisition of Wavin N.V. by Mexichem Soluciones Integrales Holding S.A. de C.V.
Merger clearance for the acquisition of OJSC Dneproshina by PJSC InterMicro Delta, Inc.
Merger clearance for the acquisition of Emarket Ukraine Ltd by MIH Allegro B.V.
Merger clearance for the acquisition of Winstar Resources Ltd by Kulczyk Oil Ventures Inc.
Merger clearance for establishment of a joint venture between Lotte Chemical Corporation and Versalis S.p.A.
Merger clearance for the acquisition of water and coffee business of Eden Springs B.V. by Hydra Dutch Holdings 2 B.V.
Merger clearance for the acquisition of Oerlemans Foods B.V. by Pro-Plant International B.V. and Baltussen Holding B.V.
Merger clearance for the acquisition of medical devices and food supplements business of Croma-Pharma GmbH by Valeant Pharmaceuticals International, Inc.
Merger clearance for the acquisition of Ekomir Pharma Ltd by Valeant Pharmaceuticals International, Inc.
Merger clearance for the acquisition of Fidem Life by AEGON Europe Holding B.V.
Merger clearance for the acquisition of Gutehoffnungshütte Radsatz GmbH by Bonatrans Group a.s.
Merger clearance for the indirect acquisition by Robert Bosch GmbH via Robert Bosch GmbH its subsidiary Robert Bosch S.p.A. Società Unipersonale (Italy) of the share in the capital of Astrim Energia s.r.l.